The week before last, we struck a provisional agreement on the Work-Life Balance Directive after six rounds of negotiations with the Council of the EU. I am convinced that this important piece of legislation will have a concrete positive impact on the lives of citizens across the EU. I was also pleased with the outcome of negotiations. The text agreed upon is less ambitious than the original proposal, but it is balanced. In Malta, it will result in substantially increasing parents’ rights, but it is not excessive and should not reduce our competiveness in the short term. The directive will introduce 10 days’ paid paternity leave, two months of paid parental leave until a child reaches a certain age, five days of annual carer’s leave and the right to request flexible working arrangements. Throughout the consultation process, representatives of employers and employees alike made one thing clear – that there is support for the objectives of this directive across the board. The main issue of contention is the funding and impact this will have on business and SMEs in particular. These are the concerns that I wish to address in this piece. First, it is worth noting that the issue of funding is Member State competence and must be left to the discretion of national governments in conformity with the principle of subsidiarity. Funding aside, my argument is that reaching the objectives of the directive will be good for our economy and good for business. Traditionally women take on most of the caring responsibilities in the home. However, across Europe, societies are changing rapidly and Malta is no different. More fathers wish to be more involved in the upbringing of their children and more women are aspiring to reach their full potential in the workplace. Our policies must adapt to this changing reality, not only because the promotion of gender equality must be encouraged but also because the economic benefits are substantial. Policies that encourage women to enter the workforce, to stay employed and to reach their career objectives can only but be good for business. 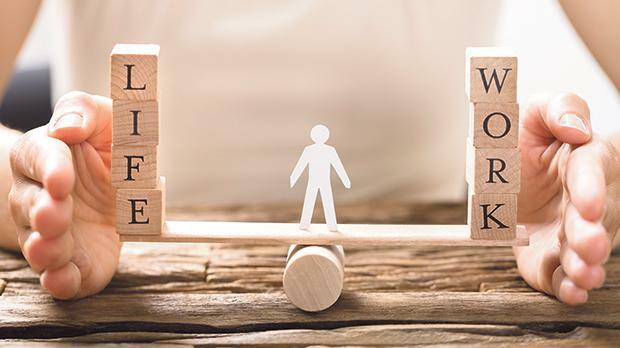 The gender employment gap costs the EU around €370 billion every year; for Malta the figure is in the region of €592 million, according to a study by Eurofound. In Malta, women tend to surpass men in educational achievement. Despite this, only 61 per cent of women are active in the labour market in contrast to 85 per cent of men. Demand for employees is growing and addressing this gap will result in more fully tapping into the resources that are already on the island. It will also result in less employees leaving the workforce when they enter motherhood. Businesses invest in their employees, sometimes heavily. Retaining the skills that have been acquired is crucial. In the longer term the creation of a better sharing of caring responsibilities and increased parents’ rights could also increase, or at the very least help maintain the birth rate, which is also vital for our sustainability. The rights created by this directive have been discussed in detail. Therefore, I would like to share some of the many safeguards that have been inserted to prevent abuse and ensure business is not stifled. Member States have substantial flexibility on many aspects of the directive. This includes issues such as the level of payment for parental leave, whether carer’s leave will be paid and the level of such payment. The transposition period is also a year longer than the usual two years, providing ample time for thorough consultation between the government and social partners and stakeholders. We have also included measures to prevent abuse. Parental leave for instance cannot be requested before the lapse of one year in employment and flexible working arrangements cannot be requested before the lapse of six months. Most importantly, in cases of dismissal following a request for flexible working arrangements the burden of proof to show that the dismissal was not the result of the request would have fallen on the employer. We were successful in removing this from the directive. An additional safeguard that will be particularly important for SMEs is that the employer will be able to postpone the taking of parental leave when it can be shown that the employee’s absence would seriously disrupt the proper functioning of a business. A few days ago a constituent, who happens to be an employer, spoke to me of his concerns that his staff could make use of the right to carer’s leave for trivial situations. This will not be possible under the directive as this leave must be available to those who really need it. Leave will only be granted on the grounds of serious medical conditions or age-related impairments and must be medically justified. Lastly, we ensured that the directive does not impose unnecessary administrative burdens. Obligations that would have resulted in unnecessary paperwork and administrative processes are no longer in the text. My appeal to the government is to ensure that businesses are protected from any possible short-term ramifications resulting from the transposition of the directive and to view these measures as social services that should be funded by government. This directive will result in a direct investment in Maltese and Gozitan families. It is a clear way to ensure the benefits of a well-performing economy reach all citizens. David Casa is a Nationalist MEP.